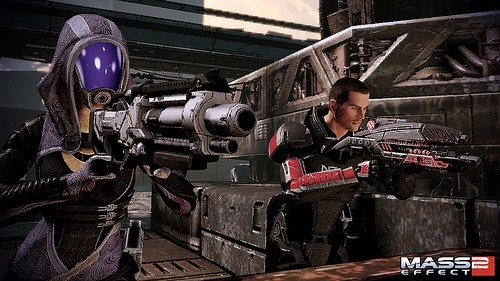 Mass Effect 2 may have been around for a whole year... but not on the PlayStation 3. And last Tuesday, January 18th, PS3 gamers finally got their hands on a copy of the critically acclaimed RPG. Actually, this is the first time any Mass Effect game has been available on the PS3, making this a historical event for BioWare. The game was released to PC and Xbox 360 consoles last January and garnered up a exceptional reputation with action gamers, and since this is the first release on the PS3 ever for the series, it's sure to have the same success, if not more. The game comes with three key expansions (Kasumi's Stolen Memory, Overlord and Lair of the Shadow Broker) and an interactive comic that bridges the gap between this game and the first, which is only available on PC and Xbox 360. Improvements brought to the PS3 version includes better planet scanning, improved visuals, adapted control schemes, general bug fixes and obviously, no disc swap. Below is the first released walkthrough of Mass Effect 2 on the PlayStation 3 by YouTube user VideoGameGasm. It's incomplete, but that's only because the game was just released! But it should be enough to get you started. Enjoy it and its colorful commentary. Watch it. Learn it. Beat it. And check back for more.